Susanne Woods, Ph.D., is Interim Provost and Vice President of Academic Affairs. Her more than forty years in higher education include twenty as professor, then Associate Dean of the Faculty at Brown University, five as Vice President for Academic Affairs at Franklin & Marshall College, and seven as Provost of Wheaton College in Massachusetts. Born in Honolulu, she taught at the University of Hawai‘i Manoa early in her career. She earned a BA (in political science) and MA (in English) from UCLA, a PhD in English and Comparative Literature from Columbia University, and holds an honorary degree from Brown and a Certificate in Educational Management from Harvard. 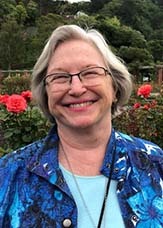 Her scholarly work includes numerous articles on renaissance poetry and poetics and four books, including Aemilia Lanyer: Renaissance Poet (Oxford, 1999), and Milton and the Poetics of Freedom (Duquesne, 2013). She currently holds the titles of Provost and Professor of English Emerita, Wheaton College, Massachusetts, and Distinguished Visiting Scholar, University of Miami, near her permanent home in the Florida Keys. In 2016-2017 she served as Interim Vice President for Academic Affairs at Westminster College in Pennsylvania.